The Second Reformation shared a spiritual maturity and true fear of God in common with the English Puritans. Their writings and preaching were also saturated with the Scriptures. They focus upon eternity, warfare against sin, family religion and practical godliness. There are other key aspects of biblical truth in which they attained significant clarity. We need to learn afresh from the accurate understanding that they bring to these areas. Second Reformation ministers gave much attention to the subject of coming to Christ. In his preaching James Durham ensured that Christ’s offers of grace could be within reach of anyone. Together with David Dickson he wrote The Sum of Saving Knowledge to explain the biblical basis for a sinner to believe. It also helps in the matter of being sure that we have indeed believed. George Gillespie also wrote a clear summary of the encouragements to believe given in Scripture. Andrew Gray was likewise gifted in resolving such questions while encouraging believers to greater holiness. William Guthrie’s classic The Christian’s Great Interest is another valuable guide for those with doubts and fears. He helps us to know whether we are truly saved. It was a favourite book in Scottish households for many generations. We need this clarity in times of confusion about the gospel and the way of salvation. The gospel is being diluted and altered and we need to recover it in its purity from the Scriptures. “Do all for Christ”, Samuel Rutherford said upon his deathbed. “Pray for Christ. Preach for Christ”. The preachers of the Second Reformation made Christ and His redeeming work the centre of their sermons. James Durham preached and published 72 sermons on Isaiah 53. They are a rich presentation of Christ crucified as the “marrow of the gospel”. His commentary on the Song of Solomon explores the depths of communion with Christ in Christian experience. Samuel Rutherford’s letters are well known for exalting the Lord Jesus Christ in expressing the same theme. “Come further in on Christ, and see a new treasure in him”, he writes. “Come in, and look down and see angel’s wonder, and heaven and earth’s wonder of love, sweetness, majesty, and excellency in him”. The following observation is even more accurate about our own day. “I am sure that the saints at their best are but strangers to the weight and worth of the incomparable sweetness of Christ”. There was a depth and reality to Christian experience during the times of the Second Reformation. We are weak by comparison. Their writings stir us towards greater spiritual maturity and godliness. Covenanting with God was a key emphasis. Second Reformation ministers sought to increase general understanding of God’s covenants. They believed that this was God’s method of bringing people into a relationship with Himself. 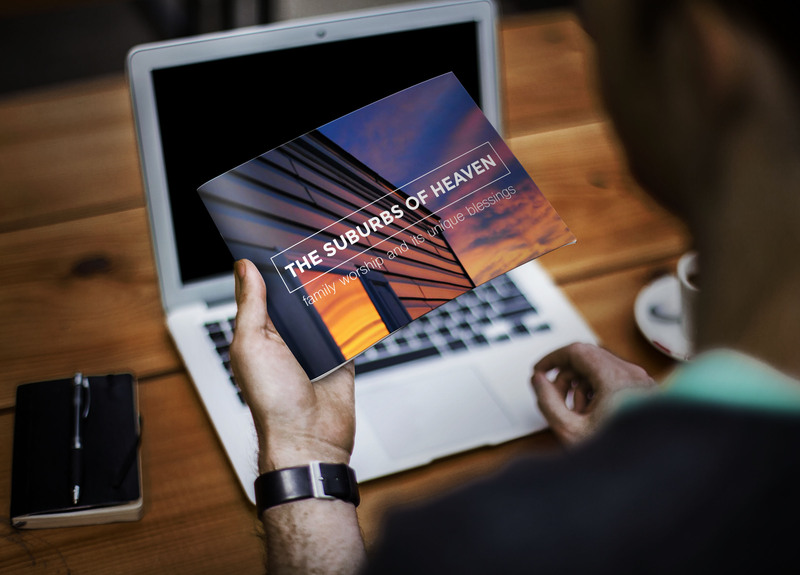 The Sum of Saving Knowledge explains how God’s covenants undergird the plan of redemption. It shows how the believer enters into the enjoyment of covenant privileges. Patrick Gillespie, Samuel Rutherford and John Nevay wrote on this subject at length. They sought to open up the nature and blessings of these covenants. Covenant doctrine has largely disappeared from the pulpits of the land today. We need to recover this truth that is so central to the proper understanding of Scripture. Second Reformation ministers believed that everyone needed a thorough grasp of biblical truth. They pursued a plan of diligent catechising to achieve this. The Church considered it a vital duty and called any negligent ministers to account. A clear understanding of the truth was considered essential as well as memorising it. Hugh Binning explained the key doctrines of the Shorter Catechism in his book Common Principles. The Sum of Saving Knowledge similarly distills core teachings of the Confession and Catechisms. David Dickson wrote Truth’s Victory over Error to defend the biblical doctrine of the Westminster Confession. At the end of his life he saw the work of reformation reversed. Someone asked what had come from all the blood and prayers poured out over many years. “There is the Confession of Faith and Catechisms”, he replied. “These are worth more than all the blood or prayers that have been”. Mistaken notions and teachings are as rife as ever. 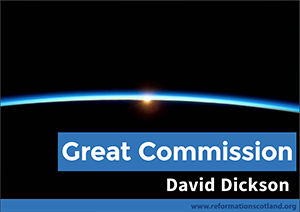 The Second Reformation offers a heritage that summarises the Bible’s teaching clearly. David Dickson encouraged other ministers to produce simple and practical commentaries on the Bible. These expositions explaining difficult books like Job, Ecclesiastes and Revelation are of great value. Men such as Alexander Nisbet, James Fergusson and George Hutcheson worked hard over many years. They contributed commentaries that together covered large areas of Scripture. Biblical illiteracy is high today, even among those who value Scripture most. Such expositions are designed to edify and profit anyone with a desire to discern the Bible’s meaning. Everything in the government of the church and the worship of God must come from Scripture. The Scots maintained this principle against a king who declared war upon them. George Gillespie and Samuel Rutherford wrote at great length vindicating these views. This influenced the conclusions of the Westminster Assembly. The Westminster Confession declares that “God alone is Lord of the conscience”. God has left the conscience “free from the doctrines and commandments of men, which are in any thing contrary to His Word; or beside it, if matters of faith or worship”. It was clear that the praise of God should be from the book of Psalms alone. The Scottish Church produced a metrical version of the book of Psalms for the Church’s praise which remains in use today. James Durham discussed many practical aspects of church principles and order. His Treatise on Scandal gives wise counsel on matters of church discipline and government. His essay on the call to the ministry is also said to be one of the clearest treatments of the subject. There is indifference in our day as to how the Church should be organised. We have much to learn from the intense commitment to the Church expressed by the Covenanters. Their scriptural understanding can help dispel our blurred ideas on this subject. Scotland was almost unique among the countries of the Reformation in its views of Church and State. The Reformers attained and implemented a clear view of how Church and State should cooperate. The Second Reformation guarded the crown rights of the Redeemer. They asserted that the Lord Jesus Christ is the only King and Head over the Church. Only those whom Christ appoints must govern the Church. The State has no right to interfere in the Church’s spiritual independence. They believed that rulers did have a role in giving support to the cause of Christ within their own limited sphere. As Samuel Rutherford put it: God’s law not the king’s law is supreme. These views on the limited nature of political power opposed the claims of Stuart kings to absolute power. The Covenanters were ready to suffer in maintaining such convictions. This contributed to establishing the importance of civil liberty. We live in times when the State is encroaching upon the conscience of the individual Christian. The Second Reformation gives us clear Scriptural teaching on the proper role of the State. It shows us how the Church should respond in such circumstances. Drawn from David Dickson’s comments on Matthew 28:18-20, this free e-book answers key questions: What is Christ’s mission for the Church? How should the Church fulfill it?